Autism Housing Pathways (AHP) was created to provide information, support and resources for families who seek to create secure, supportive housing for their adult children with disabilities. While autism is the main focus of Autism Housing Pathways, we welcome those representing other disabilities. Autism Housing Pathways will support families in forming a variety of housing models by providing a clearinghouse of information on such topics as cooperative bylaws, building plans for modular housing that conforms to legal criteria, real estate trusts, and affordable housing options. Autism Housing Pathways will also share information about housing groups, developers, lawyers, vendors and consultants that can assist families in creating housing. 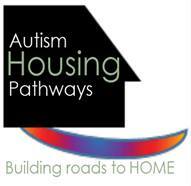 In the long-term, Autism Housing Pathways plans to become a mutual housing association that will offer services such as shared accounting, legal, and administrative services to member housing. We are committed to providing a community of engaged and caring families and individuals who will support all of our family members and those who care for them to create and maintain safe, dignified, healthy and respectful living communities. AHP grew out of a group of Nashoba Learning Group parents who began meeting in June 2009, committed to pooling their talents, energy and resources to create self-directed housing for their children when they reach age 22. The group engaged in a visioning process based on a person-centered planning tool, and consulted with a variety of individuals who helped them examine the challenges and rewards of self-directed housing and educate them in the steps towards creating a housing cooperative. Note: AHP provides free information and referral, listserve and workshops. Members only section of website provides research information. Fee for members is $25. share information about housing groups, developers, lawyers, vendors and consultants that can assist families in creating housing. to support families in forming a variety of housing models suited to their needs and resources. Families who seek to create houing for adult children with disabilities. Other Information: Does not have an office.